Measurements aren't always given to us in the units we need. If you have a measurement that is accurate to a tenth of a foot, like that used by some laser measuring equipment, you can quickly convert it to inches with a quick calculation. To calculate how many inches in the measurement you have, multiply the decimal by 12. For example, if the measurement is 100.2 feet, multiply 0.2 by 12 to get 2.4 inches. If you have a measuring tape, 100 feet and 2.4 inches is hardly helpful. 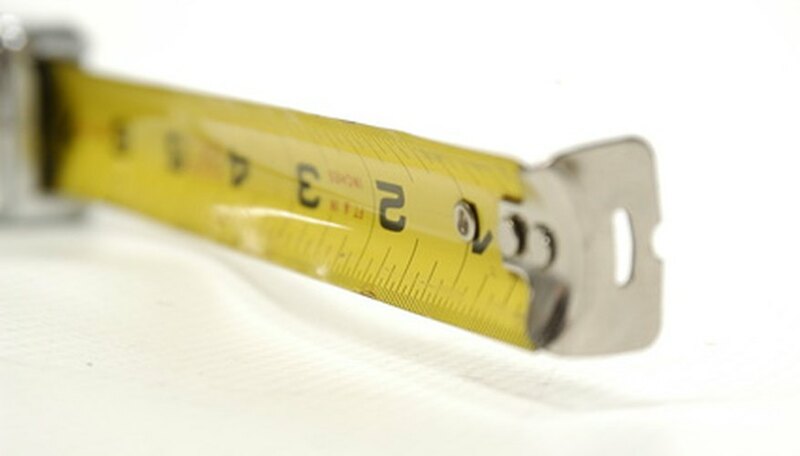 Most measuring tapes use fractions and are accurate to 1/16th of an inch. To convert 2.4 inches into the fractions used on a measuring tape, multiply the decimal by 16. For example 0.4 times 16 is 6.4, or approximately 6/16ths of an inch. Next, simply the fraction by dividing it by the common denominator. In this example, the common denominator is 2. So 6/16 is the same as 3/8. Therefor the final measurement of 100.2 feet is approximately 100 feet, 2 and 3/8th inches. Whenever you are converting decimals, it's important to understand the conversion is almost always an approximation limited by the number of decimal points, as 0.1 feet is not as precise as 0.10 feet. Generally, tenths of a foot are only accurate to about a half-inch. For example, any number between 0.05 feet to 0.14 feet both round out to 0.1 feet. Charpentier, Will. "How to Convert Tenths to Inches." Sciencing, https://sciencing.com/convert-tenths-inches-6533775.html. 13 March 2018.